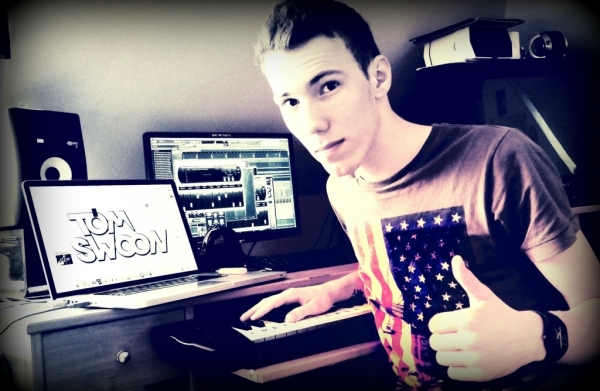 Formerly known by the alias Pixel Cheese, Polish producer Tom Swoon has made the transition from bedroom to stage with a string of successful 'unofficial' remixes that caught the attention of Nervo, Garath Emery & David Guetta. His talent ensured official remix requests started to flow and include Gareth Emery “Tokyo”, Steve Aoki “Kaskade”, Tara Mc Donald, Nervo, Linkin Park “Burn it Down” and Flo Rida’s “Let it Roll”. We caught up with Tom and asked him about his career so far and how FL Studio has played a part in that. Tell us about your music & yourself? Well, I started to produce in 2010, because it was the time when I fell in love with progressive house music and I wanted to express myself through it. Then, I switched to more bigroom vibe, because I found it perfect for my personality - happy and full of energy. Nobody in my family was playing any instrument, but music was always present in my home, because my parents were listening to everything from AC/DC to Modern Talking! That's how I've learned to enjoy music, not the genre. When I was 14, I decided to start playing on the guitar. After 2 or 3 years, I just realised that it's not for me at all, and somehow I got into DJing. I was beginning in a small local pub/club, mixing commercial stuff with something less-known, learning how to read the crowd etc. I was kinda enjoying it, so I decided to start producing my own music, because I was curious how it feels like, when u see the people dancing and enjoying the stuff you made on your own. Well, now I'm signed to Ultra Music and got a lot stuff in store to come out soon! At the very beginning of my adventure with music production, somebody suggested that I check the demos of the most popular DAW software and find the most suitable one. FL Studio just hit the right spot. I found it most easy to learn and it convinced me to stay with FL, because in real world, I'm a fan of the quickest and most logical ways to achieve the desired effect, so no matter if I want to do a 7 hour studio session, or just throw some idea from my head on piano roll and leave it for later, FL is doing the job perfectly. Second thing - it's so addictive! There's too many awesome features to list, but definitely for me the most beloved one is "make unique" [duplicates Audio, Automation & Pattern Clips in the Playlist ready to edit independently of the original]. My studio is really minimalistic and software-oriented. First of all, I still produce in my bedroom, using a Windows-based PC, (obviously) FL Studio, an external USB soundcard, small KRK monitors, studio mic for podcast recording and 4-octave MIDI keyboard. On tour, I always take my MacBook Pro '17 and AKAI LPK25 keyboard.